Molinare hosted a special screening of REVOLUTION – New Art For A New World for Members of BAFTA and Directors UK on 22 November 2016. 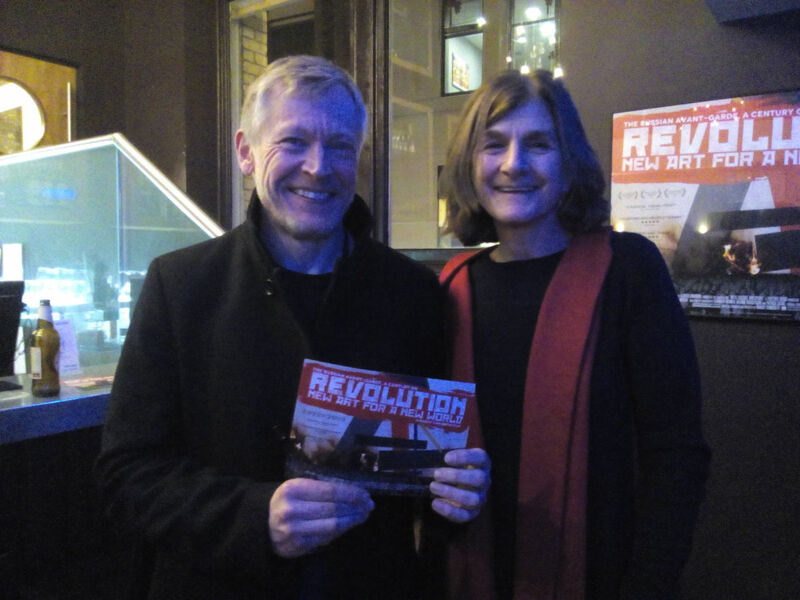 The screening was introduced by Molinare’s Senior Re-Recording Mixer George Foulgham and was followed by a Q&A with Director Margy Kinmonth and film critic Ian Haydn-Smith. The film is in consideration for the BAFTA Best Documentary Award. Margy Kinmonth & Ian Haydn-Smith. Molinare. BAFTA & DGUK Members at Molinare. Great honour to be asked to introduce this feature documentary made by film makers: producer Maureen Murray and director Margy Kinmonth – Foxtrot Films. This film helps to show the seismic shift from the imperialism of tsarist Russia to the Lenin/ Stalin despotism of the Soviet socialist republic.